Sorry it has been so long! On Thursday Maknzie's tube site was very, very sore. I took her to the ER on the advise or the GI doctor. We sat there for 5 hours and they looked at it, told me it was not infected, and told us to go home. So at 12:30am we arived home and Makenzie was in more pain then ever. I called the special care Clinic and a Doctor was to call me back..... Never happened. We headed to Children's Hospital on Friday morning and went to radiolagy and then to her new doctor in the special care clinic. Everythimg looked great with the GJ tube. Her doctor and I talked for a bit and decided that because she had lost a bit of weight and was in so much pain that it would be a good idea to admit her and get a consult with GI to find out what was going on. If not I woulf have towait 4 weeks to get an appointment with GI. So that is what I did. We were ther from Friday untill Tuesday afternoon and would have to say it was the worst thing I have ever been through other than Makenzie's accident on March 25th. When we got there on Friday the doctor came in and asked a bunch of questions. He then proceeded to try to put Makenzie on 3 new medications. The answer to all was NO! I told him that I never gave her anything new with out researching the drug and macking an informed decision. He asked me why I felt like I needed to do this and told him that She was MY daughter and that I didn't trust doctors. I don't and that is my right!!!!! They have given me more than enough reasons over the last year and that is just the way I feel! I could go on for hours with all the reasons why but I won't! We had many nurse problems and strong disagreements with the doctors about what had now turned into a "failure to thrive" case. Duh ya think! After what Makenzie has been through mmmmm? They did a bunch of testing and the only thing they came up with was something with her bicarbs, and of course they wanted to medicate! They wanted to start that medication that night and again I told them no.... I needed to research it and would not start a new medication at night! On Monday the GI doctors came up and said that they were very pleased that Makenzie was tolerating her feeds and was not concerned about her daily weight gain. They then proceeded to sine off on that part of her care saying that she was doing well! When the doctors did their "rounds" I asked them if we could go home and they told me that the protacol for "failure to thrive was to keep the child for at leat 3 days after they started to tolarate the feeds. This was never the concern in the first place!!!! My concern was always the pain and the stomache acids and education from the GI aboout what to expect with the new GJ tube because they didn't give me any information on this when we had it placed! So we stayed. Or shall we say they held us hostage! Tuesday rolled aroud and I started to loose it. Well I started to loose is on Monday but now I am ready to go postal! The doctors came up and told us that we could go home and then about 10 min later the hospital social worker came up with a Arapahoe county social worker! The doctors had reported concern! I am jumping for joy because my little peanut has gained some weight and relived that they had found nothing wrong with any of her organs that would be causing her to to not be gaining weight! All the while they are on the phone with human services. They said that it raised concern that she was gainning weight in the hospital but not at home!!!! Did they bother to talk to anyone that had known Makenzie for more than 3 DAYS! This is a major slap in my face! I have done nothing but breath Makenzie for the last 11 months. I have given up everything to put all of my time into her rehabilitaion and the boys! This has been a 26 hour a day job! Every profesional outside of this doctor has said that they can't believe this! I asked for help! See if I make that mistake again! It has been 11 months and we are still struggling with the same issue! the GJ tube is working GREAT! No puke! So now I get to please Arapahoe county! I have nothing to hide! They are just wasting their time and all of YOUR money on this! Children's has dropped the ball on my daughter more times than I can count! I have been in that place over and over to no avail! No one has helped! I am very sad that I found a great doctor that I won't be able to use any more! I will not have one more shred of documantation on Makenzie recorded in that place! Satan can attack me all he wants through these doctors! I will not back down! I will not be afraid! They will not strong arm me into doing something that I don't believe to be in my daughters best intrest! I love my kids with everything that I am!!!! They will see that! They will hear that!!! They will never forget that when this is all said and done!!! BRING IT ALL ON!!!! WE ARE READY!!! Please pray for us! 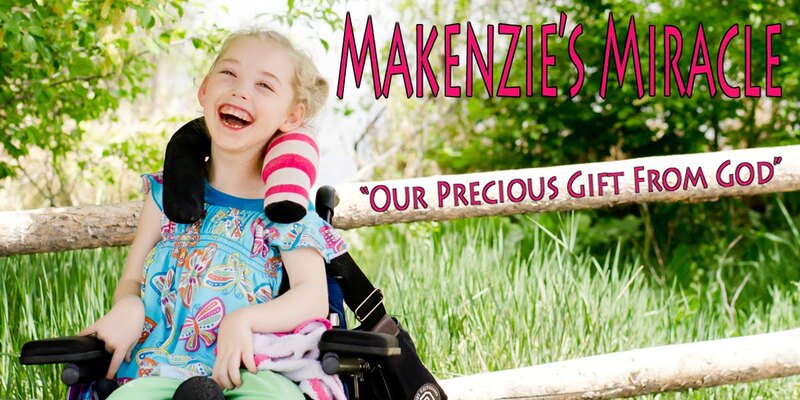 Most importantly keep praying for Makenzie! She is doing so well!